Last week in Part 1, we looked at how fatigue can affect us – particularly women, shift workers and those with long term conditions like MS, rheumatoid arthritis, Cancer and endometriosis. NICE guidelines for the management of chronic fatigue syndrome (2014) emphasise the importance of a well-balanced diet, eating regularly, and including slow-release starchy foods in meals and snacks. This was the most specific recommendation I could find when looking at some of the clinical guidelines for some long-term conditions (no doubt for any condition, dietitians would form part of the management and care teams so dietary advice can be provided on an individual basis). Please point me to any that you know of though! The MS Trust however provide a diet fact sheet and encourage MS patients to look at their diet because managing what they eat offers the possibility of a sense of control in dealing with their condition. Poor diet and nutrition can certainly affect anyone, whatever the cause of your fatigue. These recommendations can help anyone and prevent your blood sugar levels from swinging up and down, worsening feelings of fatigue. I am also speaking from experience. I suffered from glandular fever in my mid teens, one of the symptoms being fatigue and I was off school for a good 6 months. Then later in adulthood I have have had several periods where I have suffered what I call burnout, which in part was mostly caused by my susceptibility to suffer from stress and anxiety. So I get that feeling of ‘not being up for anything’ and low mood as everyday challenges become overwhelming. With regards to MS there are a number of diets out there that focus particularly on low fat as way of managing symptoms. I am always wary of following diets that restrict certain food groups, unless you have specifically been told and are under the guidance of a registered dietitian or nutritionist. To be honest the evidence on some of these diets is very patchy. Do they encourage you to buy supplements? Are they formally endorsed by a professional health organisation? I will be focusing on simple healthy and balanced approaches to eating rather than unpicking these diets. As I think about strategies to help with fatigue, it will be also be crucial to consider the energy needed to shop for, prepare and eat the food too! Make sure you eat enough! Current energy requirements for men and women are 2605 and 2079 Cal/day respectively (SACN, 2011). Reduced levels of activity (as may be necessary with fatigue) may reduce the energy requirement somewhat (this would need to be determined on an individual basis), but it is still important to ensure you eat enough to meet your needs. The point I am making is that many are obsessed with the fear of putting on weight, with low-calorie diets and cutting out carbs or grains. Many of the fad diets endorsed by celebrities are very low-calorie in nature and are simply not nutritious enough to sustain the body, never mind fight fatigue. 1 in 3 British people are ‘ on a permenant diet’ and although figures are declining, the weight control food market was worth a massive £1.6 billion in 2012 . Yet these foods are not what they appear to be! Low fat products typically have a higher sugar content than the standard product so are actually more likely to worsen your fatigue. You will be much better off looking out for healthy fats (like polyunsaturated fats found in oily fish and nuts) and avoiding the saturated fats (in red meat, butter and processed foods – see part 4 to come). Following a diet that does not meet your personal nutritional requirements or energy needs will undoubtedly make you feel more tired. As you will see in a minute, eating breakfast is essential to giving you a kick-start at the beginning of the day. Carrying small ’emergency’ snacks with you wherever you go will mean you can top up your energy levels when needed and ensure you do it with a ‘good food’ and not a chocolate bar you have to grab from a vending machine. And don’t be afraid of carbs; I’ll help you pick the good ones that will release energy more slowly into your body. Breakfast does exactly what it says on the tin – it Breaks an overnight Fasting period – if you don’t sleepwalk to the fridge in the middle of the night, you probably won’t have eaten since the night before. 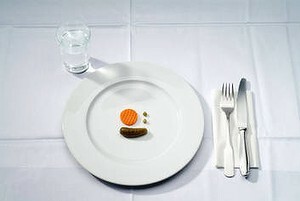 This could be at least 10hrs your body has gone without food. Whilst you sleep your body rests and recuperates ready for the next day. Your metabolism drops during this time to its lowest level. This can make waking up and getting out of bed a real struggle when the alarm goes off. To kick-start your metabolism in the morning we need to eat breakfast. If suffering from fatigue it is also hugely important to and perk up your blood sugar levels to increase your levels of alertness and give you some energy to function. 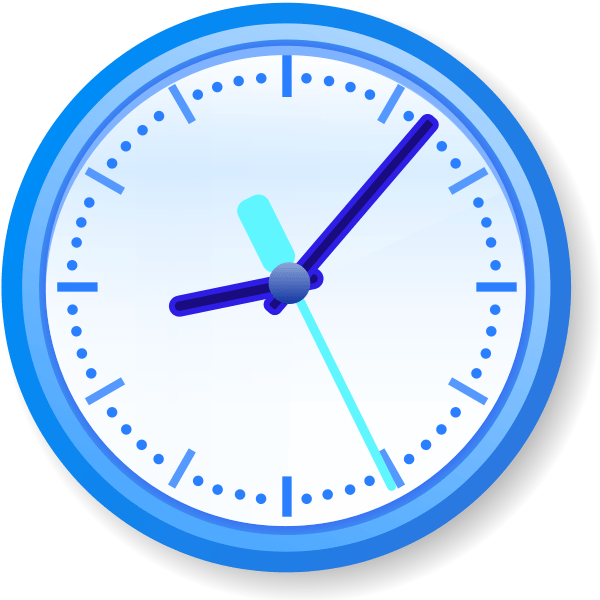 It is also well-known that people who skip breakfast are more likely to make unhealthy snack and meal choices later in the day so making the time and effort for breakfast will give you a good start. 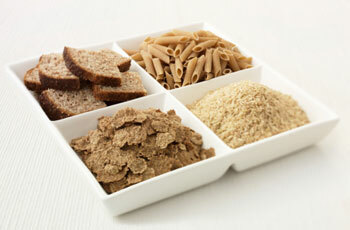 Cereals are great as they are not too heavy to carry from the shops and quick & easy to prepare. 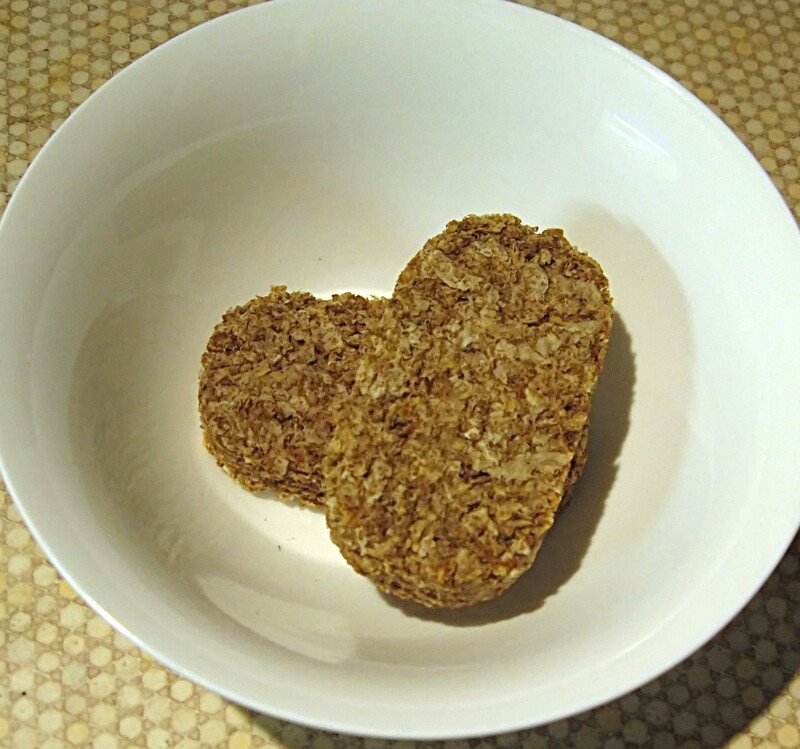 Choose wholemeal / wholegrain cereals with no added sugar like Weetabix, Shredded Wheat, bran flakes, muesli or porridge (not the 1 minute stuff as this is already pre-cooked so is quickly digested and will make your blood sugars surge). 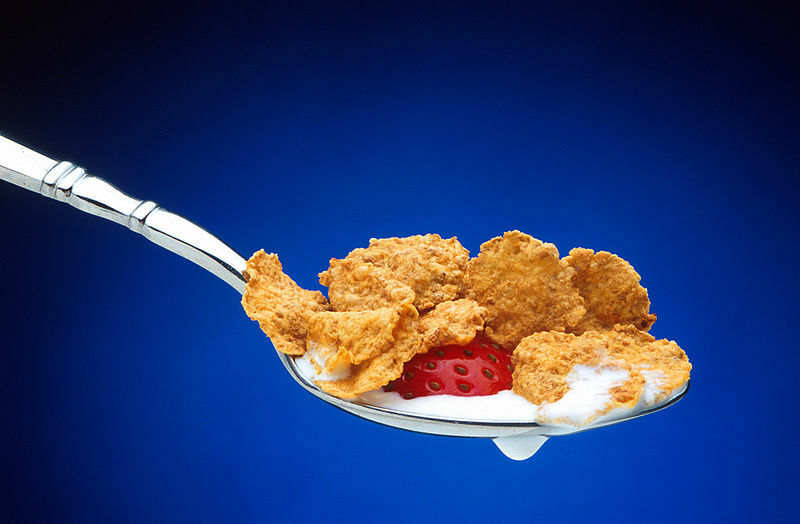 Cut down on cereals high in sugar like any of honey & nut cereals (crunchy nut cornflakes), granola, ricicles, frosties, sugar puffs, swiss style muesli with added sugar and any breakfast bars. Alternatively try natural yoghurt (it often has less sugar than the fruit ones, especially the low fat), with a sliced banana and / or other chopped (fresh / frozen or tinned) fruit of your choice and a sprinkling of dry muesli, nuts or seeds. Click this for a nice change to plain crumpets. Variety can really help you get a bit more interested and motivated in what you are eating. Try English Breakfast Muffins (you can get wholemeal ones), pitta breads, bagels and all sorts of nutty and seeded breads to break the boredom. What I love is Jamie Oliver’s Pukolla – a muesli mix that you can store in tuppaware for weeks, then just add milk and bung it in the fridge overnight. All you have to do is pull the bowl out in the morning and tuck in. Trust me, try it, even if JO drives you mad! If you can’t face any of that and don’t do wholemeal toast, at least grab a banana but better than that; make a quick banana milkshake (blend 1 medium banana with a large glass of milk, that’s it! You can also add a teaspoon of peanut butter, or a sprinkling of oats). Fluctuations in blood sugar levels are associated with significant changes in both energy and mood. To stabilise blood sugars, eat at regular intervals so you can top up your energy levels rather than letting them dip down, causing you to feel more tired; little and often can be a good way to help you do this. Less frequent, large meals can also make you feel sluggish due to the large amount of energy required to digest them. Your body diverts a lot more blood towards the gut and away from other less active areas at that time. You know that feeling when you just have 40 winks after the Sunday roast? If snacking, cut down on the sugary treats. Biscuits and chocolate may be what you feel like the most when tired but are one of the worst choices of snack. They will give you a boost in energy and mood in the short term but as soon as your blood sugars peak, they quickly plummet again leaving you wanting more sugar. Going for wholesome snacks will help you break this yo-yo effect. Choose whole fruit (rather than juices), oat cakes or rye crisp breads, sticks of veggies like celery, pepper and carrot, sugar snap peas or baby corn with a hummus dip, a handful of unsalted nuts & seeds. Avoid sugar filled cereal bars & breakfast bars (read my rant about GoAhead bars), sweets, chocolate, cakes and pastries. Change 4 Life have some good ideas for sweet and savoury snacks here. There are also some nice healthy snack recipes here from the BBC Good Food site. I would suggest you eat less dried fruit in between meal times. A serving of 30g can be a great fibre booster when added to sweet or savoury dishes but it is a concentrated form of sugar so could have a negative effect on your energy levels. I speak as a lover of yoghurt covered raisins (or anything else yoghurt coated for that matter), and need to tell you these are not healthy at all. If you read the packet carefully, you will see they have a ‘yoghurt flavoured coating’; it’s not yoghurt as you know it, with the biggest ingredients being sugar and fat. A small 30g pack contains around 20g sugar and 6g fat! Please don’t be afraid of carbohydrates – we need these for energy and to keep our blood sugars stable – but we need to limit the refined and processed (otherwise known as simple) carbohydrates. 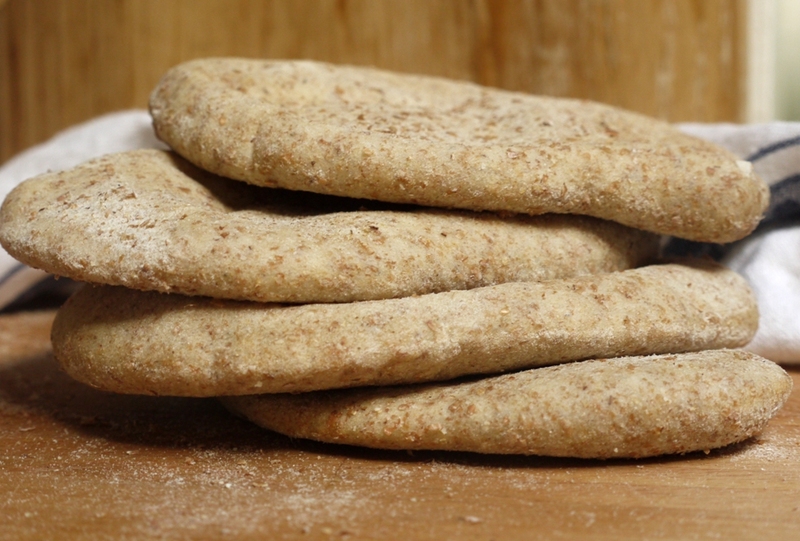 These are the white bread, white rice and white pasta so go for wholemeal and whole grain varieties; as well as wholemeal loaves, try wholemeal pittas and bagels, different shaped wholemeal pastas will add variety to your meals and brown rice is great hot or cold – it has a nice nutty flavour. Apart from whole grains being much richer in fibre and nutrients, whole grains take that bit longer for us to digest so we get a nice steady trickle of glucose from these foods going into our blood stream. With refined carbohydrates, they are more quickly digested so glucose surges into our blood stream. This may feel great in the short term, you may get quite a buzz but it won’t be long before we get rid of all that sugar and our energy levels crash again. When our blood glucose levels plummet, we feel tired. So fibre really helps counteract this effect by slowing the rate at which the sugar is released into the bloodstream. It’s one of the reasons why sweet treats are best at meal times. Eat the skins and peels of fruit and veg as much as you can (particularly when it comes to potatoes). Sweet potatoes are also a great alternative to bog standard white ones. Throwing veg, beans or pulses into ‘One Pot Wonders’ are a great way to boost your fibre, vitamin and mineral intake and are often one of the easiest ways to cook in terms of effort required. No need to buy any books there are loads of recipes online like these! Here are some more nutritious and healthy soup recipes from the Good Food website that might tickle your taste buds. To make your own soup is quick, so much cheaper and better for you than buying the ready made fresh or tinned soups (both types are high in salt) and any that is left over will keep for a few days in the fridge or can be frozen for another day. If you have a slow cooker, even better! Try these recipes here. Also, if all else fails you can’t go wrong with baked beans on wholemeal toast or tuna in a jacket potato as you can use the microwave to help you. 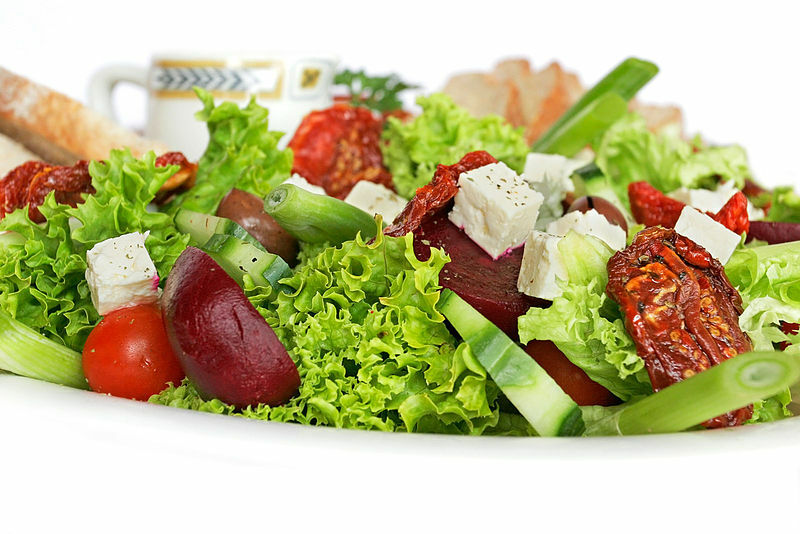 Often with minimal cooking, salads can also be an easy meal to prepare and light to eat. Often you can make up your own, using mixtures of salad vegetables, tinned beans or lentils, pasta or potatoes to bulk them up into a filling lunch or dinner. Just be wary of salad dressings as they can have a high oil and fat content. Jamie Oliver has over a 100 salad recipes here so there should be at least 1 you might like to try?! With many meals, you can often break the preparation down into steps to ease the workload. If you are having pasta for tea, make a bit extra so you can turn it onto something else the next day – a pasta salad like this tomato, spinach and cheese one? Don’t feel you need to stick like glue to the recipes – use what you have in your cupboards to make them work for you. Buying frozen, ready chopped vegetables (like onions or carrots) to save you having to do them. Pre-grated cheese, ready washed salads and pre-chopped meat can also be useful. Frozen veg can help make cooking easier. As they are often frozen immediately after picking they actually retain a lot of the vitamin and mineral content – so may well be better than the so-called fresh that have been sat in storage or on the shelves for a while! Stock up on peas, sweetcorn, broccoli, runner beans / mixed veg. Have some tinned beans (kidney, borlotti or mixed beans etc.) chick peas, lentils and tomatoes in your cupboards. Make sure you have an electric can opener, or any other gadget that will ease the workload. Frozen fruits, especially raspberries, strawberries and blueberries are great -much cheaper than fresh and defrost really quickly but you also need take out only what you need. Use a stool if you have one for cooking to reduce the amount of time you need to stand.